to deal with the death of a loved one or our own passing? and not “Burn Out” ? How to “BE” with someone who is dying. field. Ease The Fear: What to expect when you’re expecting to die. culture because of our disconnection from our own mortality. in order to reclaim death as a sacred component of everyday life. own consciousness and move closer to God. 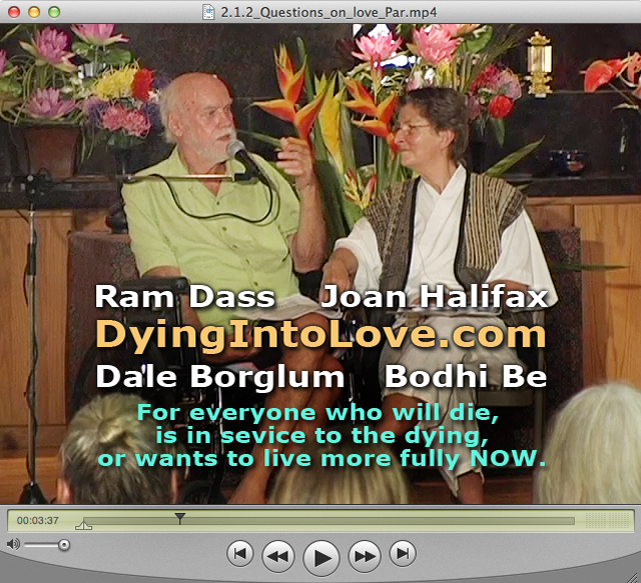 Dr. Richard Alpert, Ph.D. – aka Ram Dass, Psychologist, Author (Be Here Now), World-renowned Lecturer, 40+ years a pioneer of conscious dying. Co-founder of the Seva Foundation & The Dying Project. 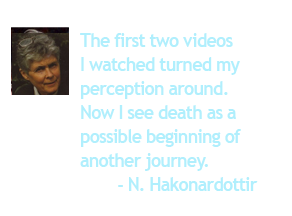 Dr. Joan Halifax, Ph.D. – Medical anthropologist & World leader in innovative end-of-life care, Author (Being with Dying), Buddhist teacher, Founder of Upaya Zen Center. She has taught about death & dying for 30+ years. © 2019 Dying Into Love. All Rights Reserved.